Posted on January 15, 2015	by Rev. Joe Jagodensky, SDS. Copycats seems the order of every day even though we hold individualism as a higher priority. We copy haircuts, musical tastes, tattoos, home furnishings…even murder patterns. For our supposed uniqueness we are mimic people. Now it’s the “bucket list,” from a movie that most have not seen but heard about and now it’s time to fill yours before time, well, times out as though life is a race to the end with endless choices. A web site list 10,000 ideas just in case you need to copycat even more. “Bucket” would not have been my word and “death wish” is too un-American so “bucket” it is. I’ve never been one for goals, I’m just happy I wake up the next day and know the day of the week. A list of things to do before you die is one of the rare times we even consider death in our botoxed-anti-aging- culture. Those who have told me of some “before death” events would make Walt Disney and Las Vegas very happy except I don’t see how seeing the Grand Canyon can compare to reconnecting with a brother you haven’t seen in years. Imagine the death bed scene when he says how beautiful the Grand Canyon was as his last words, “It’s big and deep!” as his brother hurries from the airport to be with him. 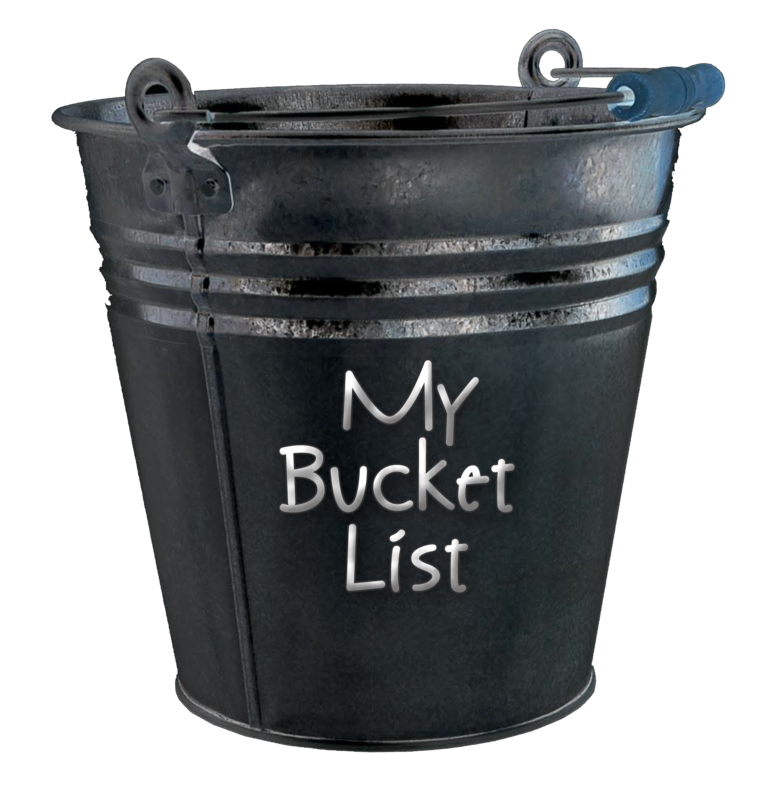 Instead of emptying your “bucket” with bungee jumping or holding Flipper’s tail how about letting other people fill your “bucket” with surprises and unexpected events. “I want to see the sun set in southern France,” may cost you over $2,500.00 when your neighborhood sun sets upon neighbors full of stories and family adventures. I have never heard a dying person share with me what Disneyland meant to her.